This recipe has been several attempts in the making as it took me a few goes to get it just right. I originally was going for a deep filled filo tart… but the pastry didn’t really cook properly and therefore wasn’t stable enough to hold the deep filling. 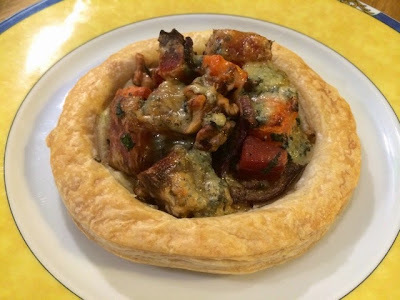 I also gave it a go with cambozola cheese (very much like gorgonzola but milder) and mixed the cheese in through the filling, rather than crumbling on top, however the taste was completely lost which was a real shame because I really do love blue cheese. So, having made a few adjustments and finally got it right, I’m glad to finally share this tart with you all! This is a really great vegetarian recipe and definitely substantial enough to feed to meat eaters, it has a great depth of flavour. 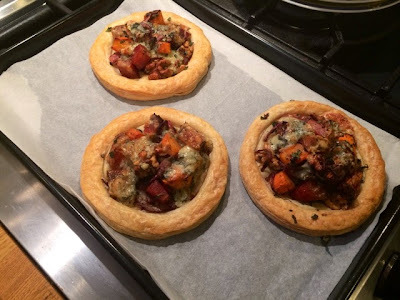 I’ve made individual tarts but there’s nothing stopping you using a whole sheet of pastry to make one large one. I think these little individual ones are ideal for a starter portion though but they’re just as good as a main course with a salad and other side dishes. I served these up for dinner with a Greek style salad, falafel and a selection of dips with pita bread. If you’re serving these as a starter I would recommend adding a dollop of crème fraîche on the side so it’s not too dry with all that pastry. One of the lovely things about making these tarts was that I used lots of lovely home grown produce, including these amazing funky looking beetroot! You’d certainly be hard pushed to find veg like that in the supermarket! My parents are lucky enough to have loads of outside space and therefore a pretty huge vegetable patch, loads of fresh herbs and space for chickens so I’m quite fortunate in that I get to use quite a lot of homegrown produce in the kitchen. 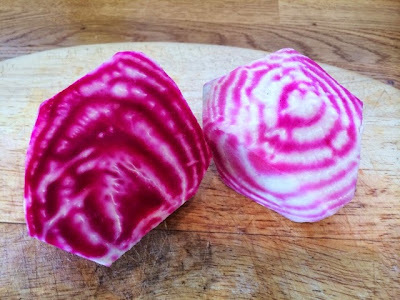 As well as the psychadelic beetroot pictured above I used this lovely homegrown fresh mint too. The smell from this is absolutely amazing and the flavour just seems so much stronger than the stuff you buy in the supermarket. 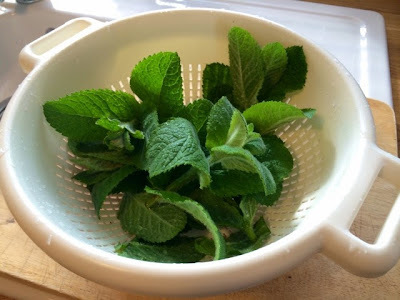 As I’ve used fresh and homegrown mint for this recipe I am entering it into the Cooking with Herbs Recipe Challenge hosted by Karen at Lavender & Lovage. 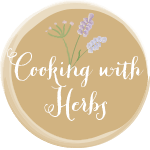 This month’s theme is fresh herbs. I’ve been following Karen’s blog for quite a while now as she has such a great range of interesting and varied recipes, and the photography and styling really is very beautiful, however this is the first time I’ve actually managed to buck up my ideas and get involved in one of the linky challenges she hosts each month. Karen also has an amazing range of amazing low calorie recipes designed for the 5:2 diet, but also great if you’re just trying to cut the calories generally. You’d be amazed at how well you can eat on 500 calories a day with her recipes! 2. Scatter the beetroot and carrot onto a baking tray and sprinkle generously with olive oil and season with salt and pepper. Sprinkle over the thyme. Roast for 45 minutes until both vegetables are cooked. 3. 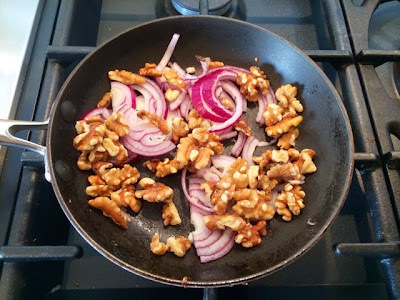 Meanwhile in a saucepan gently fry the onion, throw in the walnuts so they toast a little at the same time. Fry until onions are softened. 4. When the vegetables have roasted remove from the oven and turn the oven temperature down to 180°C. 5. 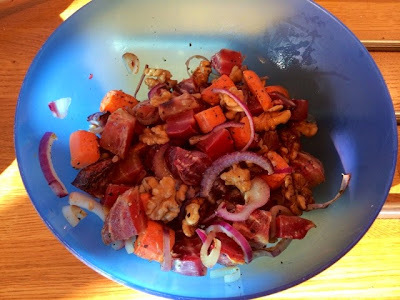 Make sure the carrot and beetroot are all chopped into bite size chunks and mix together with the onions and walnuts. Season with salt and pepper and mix in the fresh mint. 6. 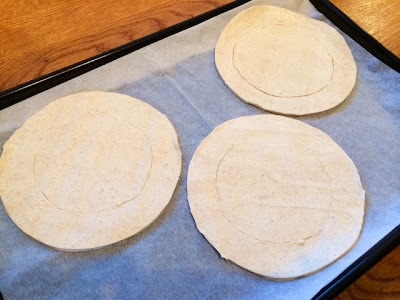 Roll out your puff pastry (unless you’ve bought the ready rolled version) and use a small dish to cut around. I find an average sized small plate is a little large for an individual portion, I used a tapas dish that measures about 6 inches in diameter. 7. 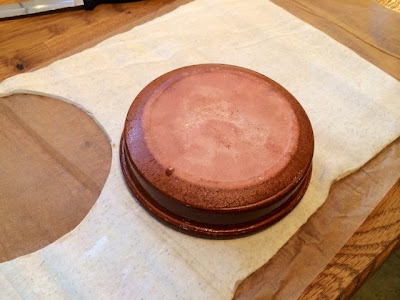 About 2cm in from the edge use a sharp knife to score a line for your tart crust. 8. 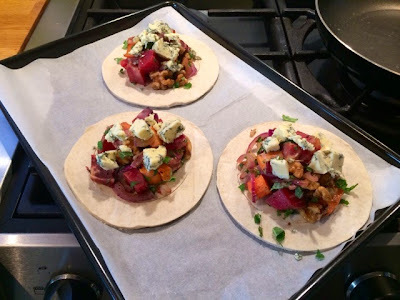 Pile your filling into the centre circle and top with the crumbled blue cheese. Brush the outer edges with melted butter and bake in the oven for 20 minutes or until the crust has puffed up and turned golden. 9. Remove from the oven and serve up as a starter or with a side salad for a tasty vegetarian main.